Operating Engineers are the operators of cranes, dozers, scrapers, loaders, motor graders, tractor loader backhoes, excavators, rollers, pavers, concrete plants and mixers, compressors, pumps and so on. Maintenance and servicing of equipment is another part of the job. Outdoors, frequently under adverse weather conditions. The nature of the work many times requires that you work far from home. Make applications with the Apprenticeship Committee on the Second Tuesday of the month May – October each year. First 1500 hours of work experience is a probationary period during which time any party to the apprenticeship contract can request that the apprentice be cancelled. 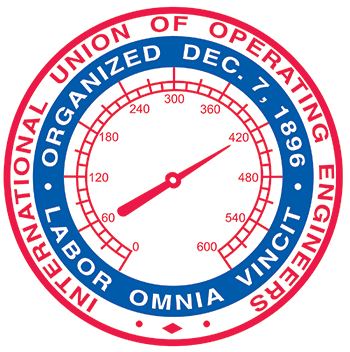 union’s name was changed to the International Union of Steam Engineers.